On Wednesday, April 28, 2015, Justice in Mexico, a research and public policy program based at the University of San Diego, released its 2015 report entitled “Drug Violence in Mexico (2015 Special Report)”. Thanks to the generous funding of the John D. and Catherine T. MacArthur Foundation, this is the project’s sixth annual study on organized crime and violence in Mexico. As in previous years, this report compiles the latest available data and analysis to evaluate trends related to drug trafficking and organized crime in Mexico. This year’s report builds on past findings and seeks to provide new insights into Mexico’s recent security situation. The authors draw on the latest available data from multiple sources, with a primary emphasis on the first two years in office for Mexican President Enrique Peña Nieto (2012-2018). In contrast to his predecessor, Felipe Calderón (2006-2012), President Peña Nieto appeared to deliberately downplay Mexico’s security problems, while at the same time moving aggressively to take out some of the country’s top drug traffickers, including Joaquin “El Chapo” Guzman and top leaders of the Zetas, Gulf Cartel, Knights Templar Organization, and other organized crime groups. As noted by Washington Office on Latin America (WOLA) analyst Maureen Meyer in a recent USA Today article on the report, while there is substantial evidence of a decline in certain forms of crime and violence associated with organized crime, the security situation in Mexico remains problematic. 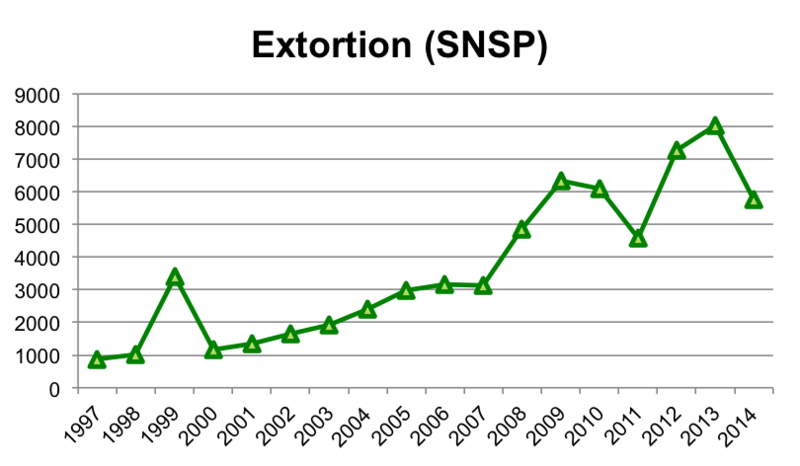 Despite a slight decline, kidnapping and extortion remain at elevated levels. The past year saw a series of security crises for the Peña Nieto administration, including the rise of vigilante self-defense forces in Michoacán, the extrajudicial killing of 20 civilians by the Mexican armed forces in the state of Mexico, and the massacre of dozens of student protestors in the state of Guerrero. Among study’s most important findings is the apparent decline between 9-15% in homicides in 2014. 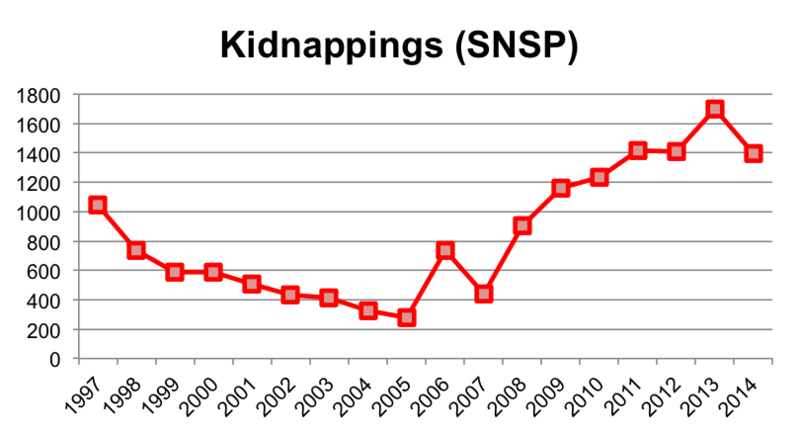 The authors also found that between one third and half of all homicides in Mexico in 2014 were attributed to organized crime groups, which may signal a slight reduction in the proportion of such homicides. 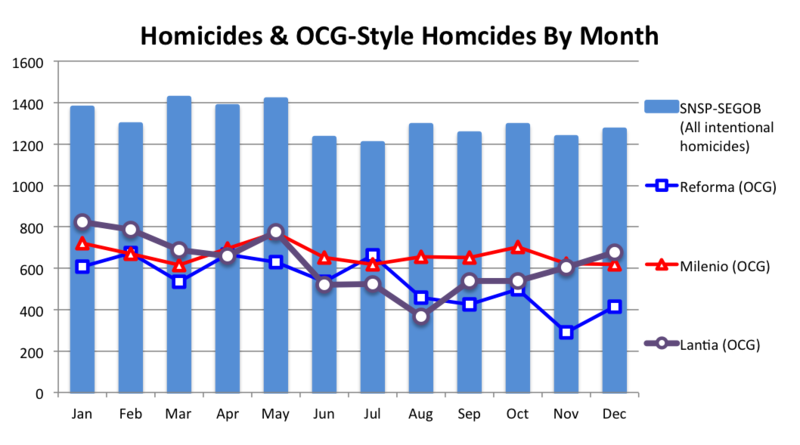 Meanwhile, even as the states of Jalisco and Mexico have emerged as new trouble spots in Mexico’s battle against organized crime there were dramatic reductions of violence in key cities, like Acapulco, Chihuahua, and Ciudad Juárez. 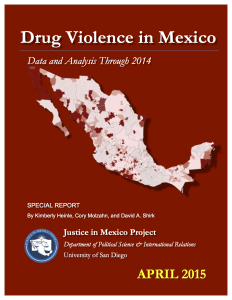 Drug Violence in Mexico (2015 Special Report) was co-authored by Kimberly Heinle, Cory Molzahn, and David A. Shirk. To read the full 46-page report (21.3 mb PDF), click here. This entry was posted in Crime and Violence, Publications, Special Reports and tagged Crime, Data, Drug Violence, Mexico, Organized Crime Groups. Bookmark the permalink.